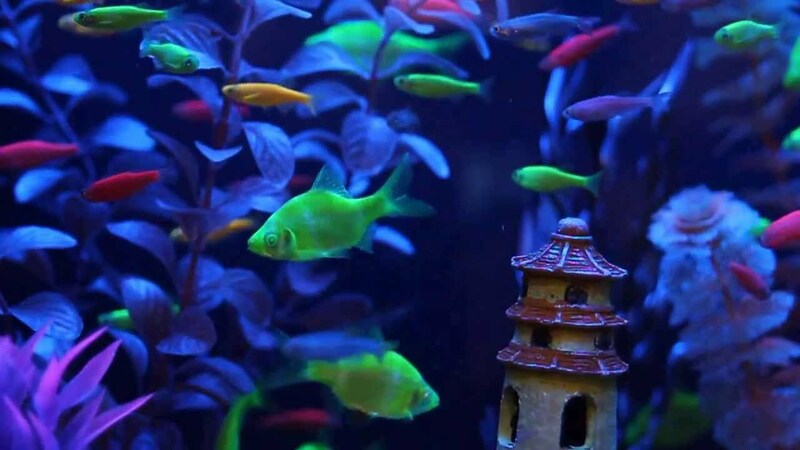 In 1999, Dr. Zhiyuan Gong and his colleagues at the National University of Singapore were working with a gene that encodes the green fluorescent protein (GFP), originally extracted from a jellyfish, that naturally produced bright green fluorescence. 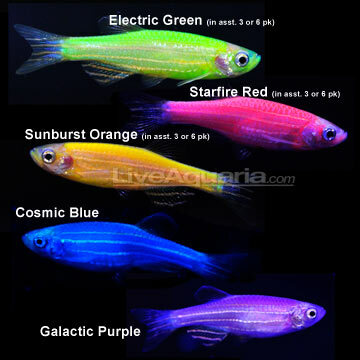 They inserted the gene into a zebrafish embryo, allowing it to integrate into the zebrafish's genome, which caused the fish to be brightly fluorescent under both natural white light and ultraviolet light. 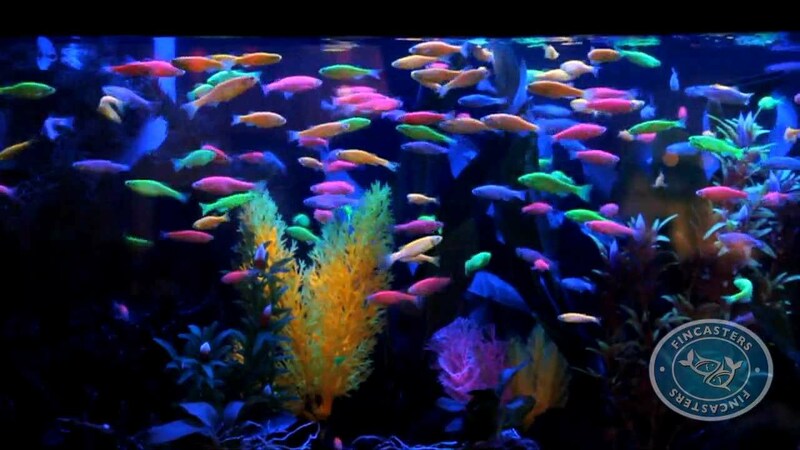 Their goal was to develop a fish that could detect pollution by selectively fluorescing in the presence of environmental toxins. 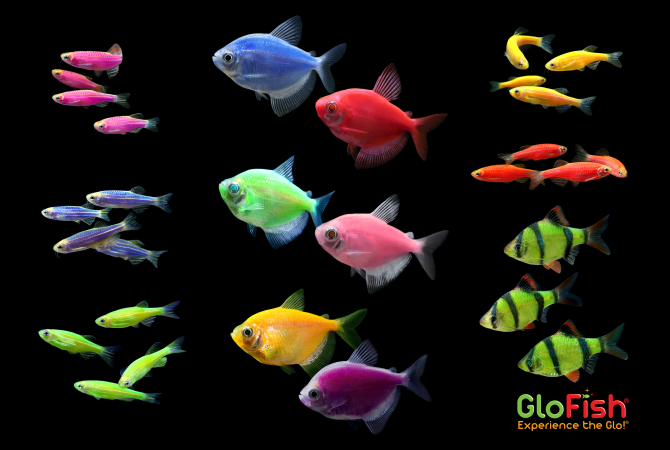 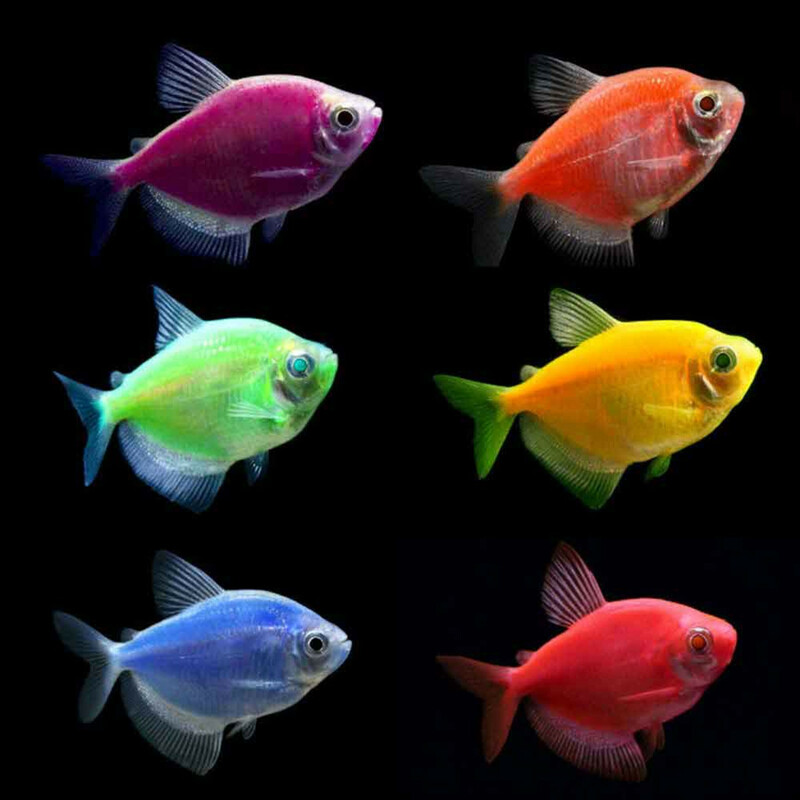 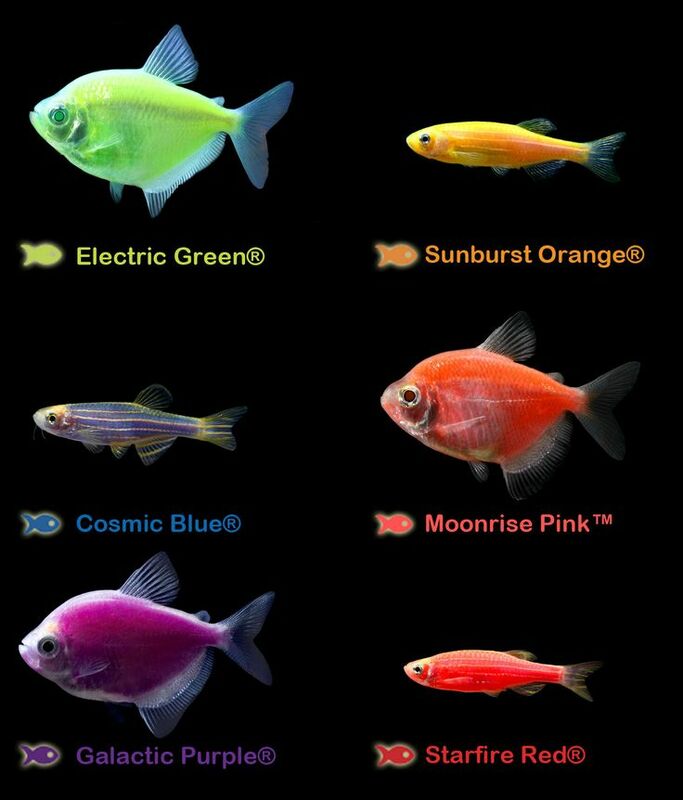 The development of the constantly fluorescing fish was the first step in this process, and the National University of Singapore filed a patent application on this work. 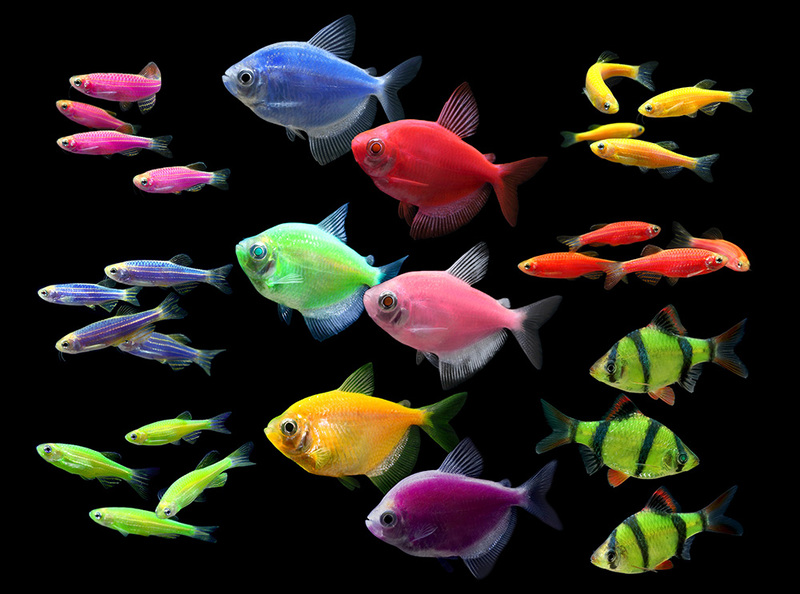 Shortly thereafter, his team developed a line of red fluorescent zebra fish by adding a gene from a sea coral, and orange-yellow fluorescent zebra fish, by adding a variant of the jellyfish gene. 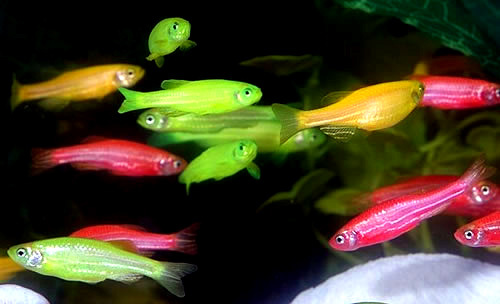 Later, a team of researchers at the National Taiwan University, headed by Professor Huai-Jen Tsai (è¡æ·ç¦), succeeded in creating a medaka (rice fish) with a fluorescent green color, which, like the zebrafish, is a model organism used in biology.